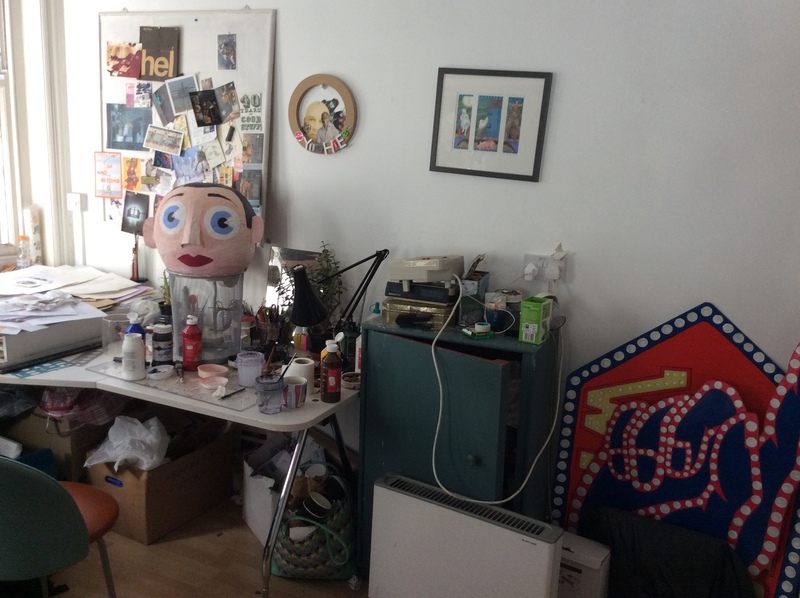 Studios are forever fascinating to the general public. For some reason, friends and acquaintances of mine love to visit me in my place of work and I’m sure this wouldn’t be the case if it was an office. The arcane and unusual happens in studios. 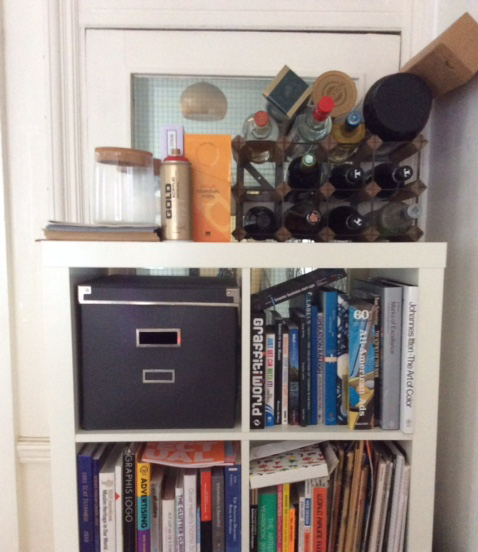 They are filled with mysterious objects far from the mundane and peopled with bohemians and artists dancing on the edge of craziness…. They are Romantic-with-a-capital-R and are almost always in garrets. 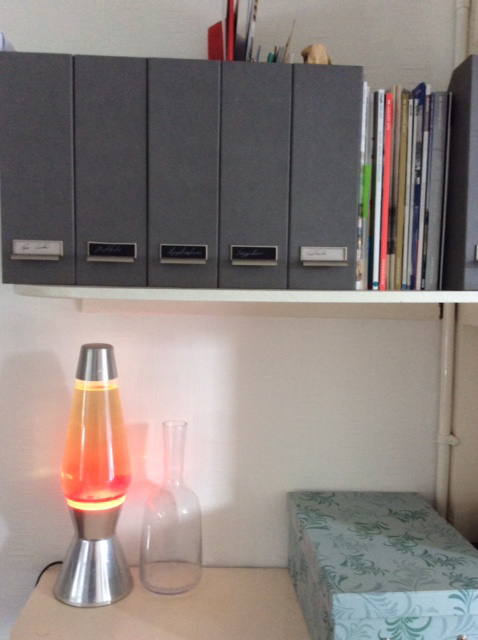 Don’t be slightly disappointed if you make your way up the scruffy staircase above the milkshake shop and enter into a bright, white and very workmanlike workspace. Definitely not even the hint of a garret. 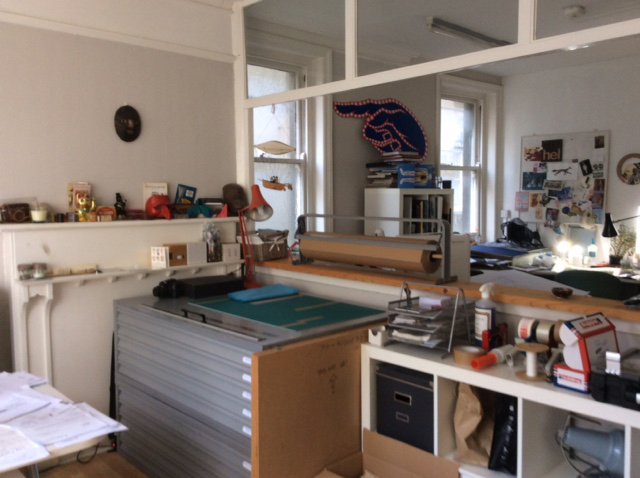 Yes, it is filled with the art equipment of my trade – the paint boxes, coloured pencils, acrylics, inks and a huge collection of collage papers – collected over the years from around the world; paper bags, origami papers, wrapping paper and wallpaper semi-overflowing from colour coded boxes. But there are also the printers, computers, staplers, tape-dispensers and paper clips necessary for the most everyday of businesses. 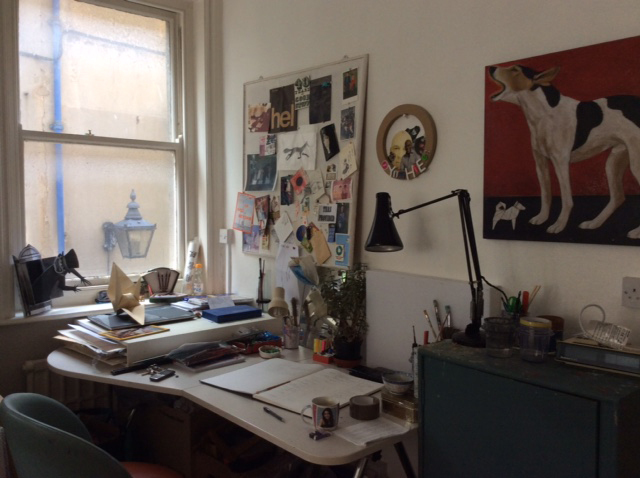 I share my space with two others – currently with Clive, who is another artist and Alistair (creative but non-professionally creative) who works for a charity spreading positive policies around the world. None of them are outwardly bohemian or even remotely crazy. We share biscuits and coffee and go out for an annual Christmas drink. Mostly it’s me who makes the coffee…. 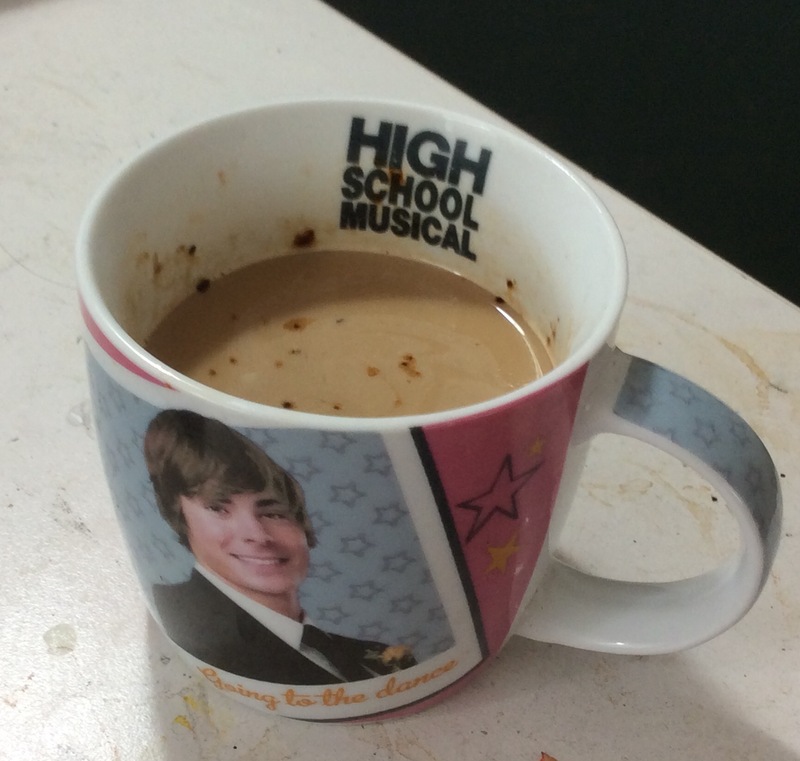 Can’t go wrong with a High School Musical mug. It’s been a space that has allowed me to get as messy as I like and pursue projects outside of my illustration commissions. Occasionally I have been employed by my local arthouse cinemas (The Duke of Yorks and Dukes@Komedia) to make props publicising upcoming films. 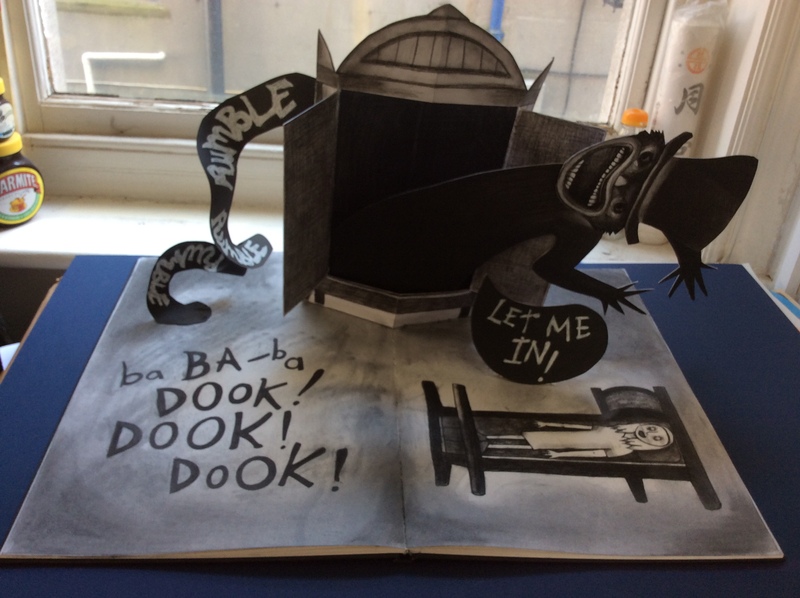 A pop-up book to promote the horror film ‘The Babadook’. 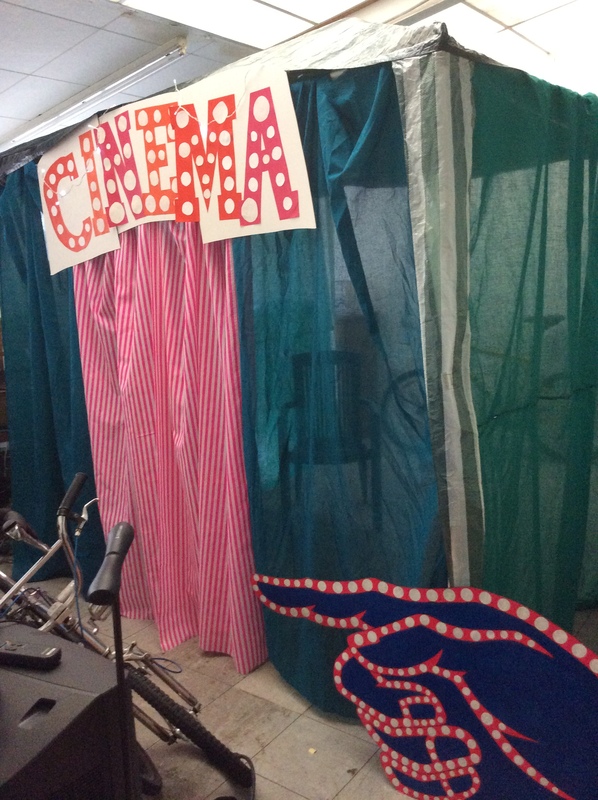 A pop up cinema within a cinema which I made from a cheap gazebo to show black and white films for the cinema Kid’s Club. 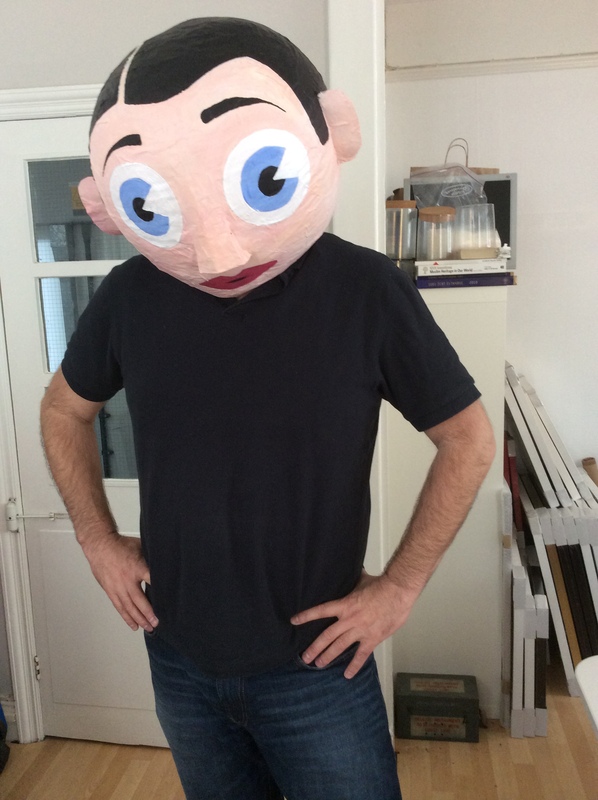 A huge papier mache head promoting the film ‘Frank Sidebottom’. Apparently it was very difficult to breathe in. When I have time, I work on my fine art practice – painting or making artist maps. 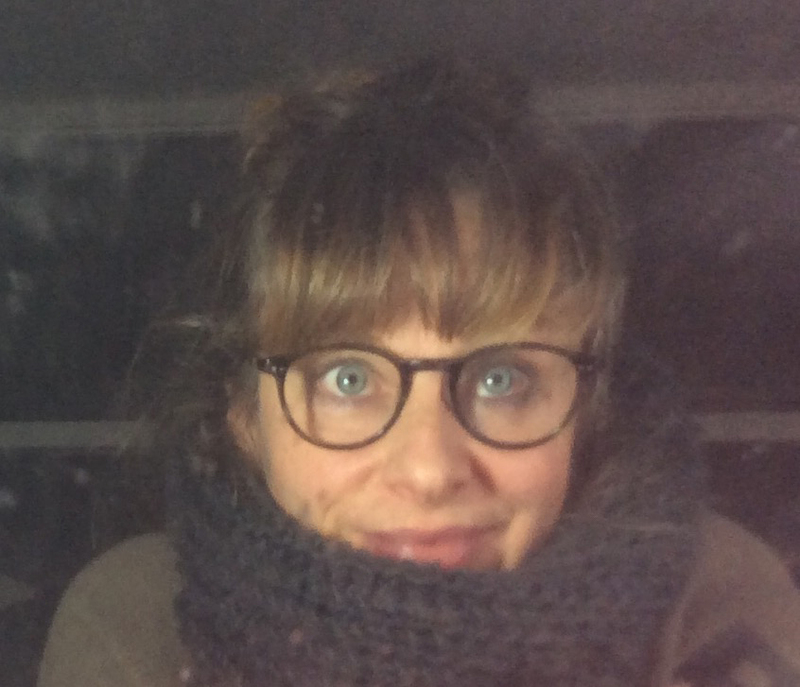 Although my illustration is very established, I am slowly building up my fine art career strongly supported by Onca Gallery, where I have exhibited regularly. You can find out more about my fine art by visiting here. 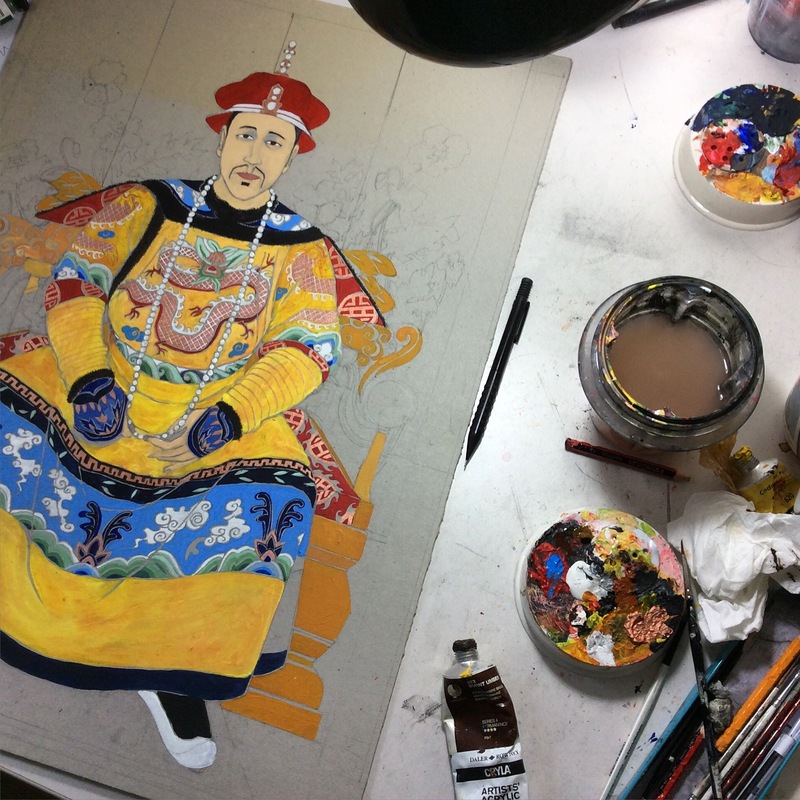 Chinese emperor mid painting. Originally commissioned by The King’s Head pub in Dalston, London.